Some rivers in the world pass the most beautiful landscapes. No wonder tours and cruises are offered, so that the visitors could experience the overwhelming scenery. Check out the list – some places might be close to where you live! Found in Little River Canyon National Preserve, Alabama, it is said to be the longest mountaintop river in the US. The Little River Canyon section is the most picturesque and popular site, fortunately preserved from the businessmen, who unsuccessfully tried to build an amusement park here. Fortunately. The section of San Antonio River in Downtown San Antonio, Texas, is one of the favorite and popular sites in the city. There is a path along the shoreline, which is also lined up by numerous shops, restaurants and bars, creating a beautiful scenery for the guests to admire. The most important river in the country has played an enormous role in countries development, trading as well as culture. The 448 km long river boasts amazing scenery, caves and statues of Buddha along its coast. The river supports one of the most intricate and important eco-systems in the world – the Amazon Rainforest. By discharge of water it is the largest river in the world. Various boat tours and cruises are offered for the visitors, allowing to admire the spectacular nature as well as rich fauna. Found in Washington state, the river is surrounded by unspoiled nature. The most popular section is Lower Lewis River Falls. The beautiful waterfalls can be reached via the hiking trails from Eagle Cliff Park, that boast the view points overlooking amazing scenery. The river flows through Hà Giang and Cao Bằng Provinces as well as through China. The region in Vietnam is sparsely populated, because of the mountainous area, which is not suitable for agriculture. Therefore the unspoiled landscape is staggering. The longest river in the world runs almost across the entire continent of Africa. Therefore there are various sections, that can be toured by water, air or land, in order to witness the marvelous nature as well as historic heritage. In Egypt 9 day Royalty cruises offer a great trip as well as service. The river is found on the island of Mindanao and is regarded to be a natural wonder. It crystal clear turquoise water has been attracting locals and tourists, who are excited to see this beautiful river as well as have an exhilarating dip. The river provides one of the most beautiful cruises in the world. The beautiful landscape, shaped by the tall rocks, covered in lush greenery, valleys and the river itself is also complemented by the small villages, shrines and statues, dotted across the shoreline. The most important and iconic river in China is the longest in the country and third in the world. 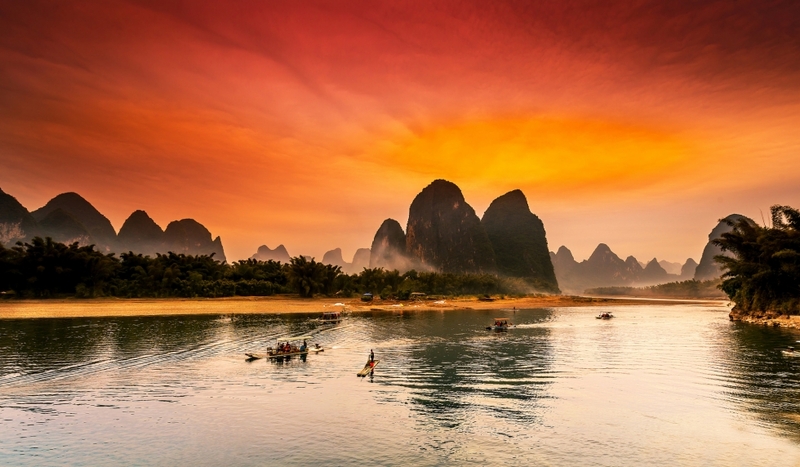 The Three Gorges area is becoming more and more popular with the tourists, as special scenic cruises are offered, passing by some of the most stunning landscapes.